THE POLITICAL drama in Venezuela, where a populist, authoritarian government is attempting to cling to power despite losing a legislative election by a landslide, tends to obscure a deeper crisis. Though it is awash in oil, the country of 30 million people is facing an economic collapse and a humanitarian disaster. 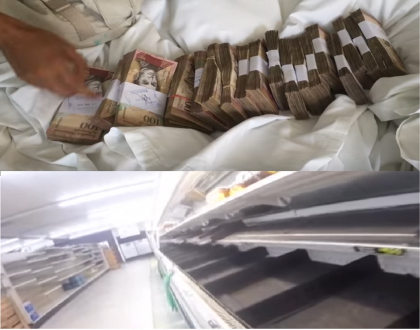 Venezuela already suffers from the world’s highest inflation rate — expected to rise from 275 percent to 720 percent this year — one of its higher murder rates and pervasive shortages of consumer goods, ranging from car parts to toilet paper. Power outages and the lack of raw materials are forcing surviving factories and shops to close or limit opening hours. According to a local survey cited by the Economist, the poverty rate is 76 percent, compared with 55 percent when Hugo Chávez, the late founder of the regime, took power in 1999. And “We Are Change” has done a superb on the ground documentary, which is a must see, on Venezuela. They point out that “Socialism” is what has destroyed Venezuela. Even further they are so brave to say that the Venezuelan disaster is what Bernie Sanders wants for America. This is amazing as “We Are Change” has supporters such as Abby Martin, who are pro Marxist.